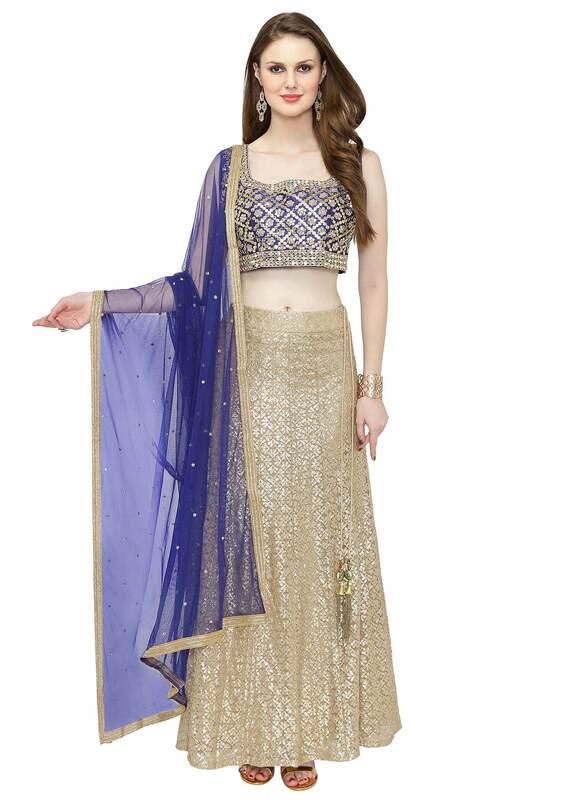 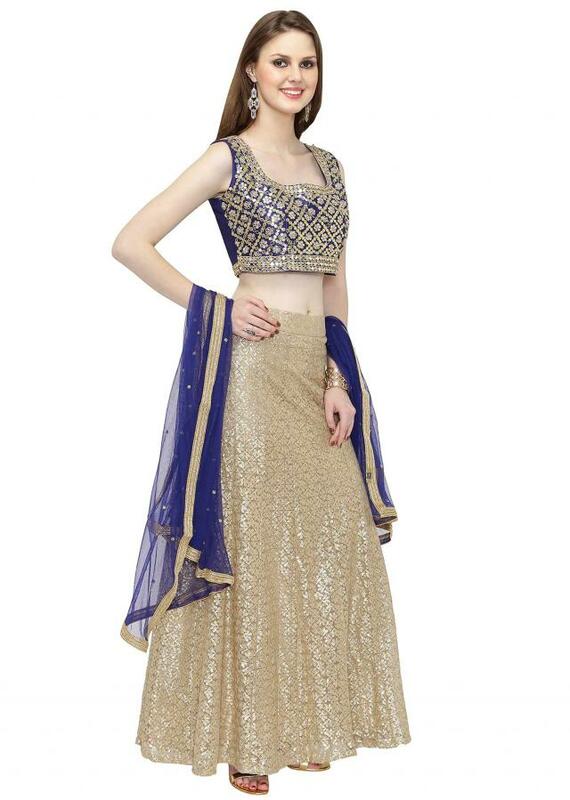 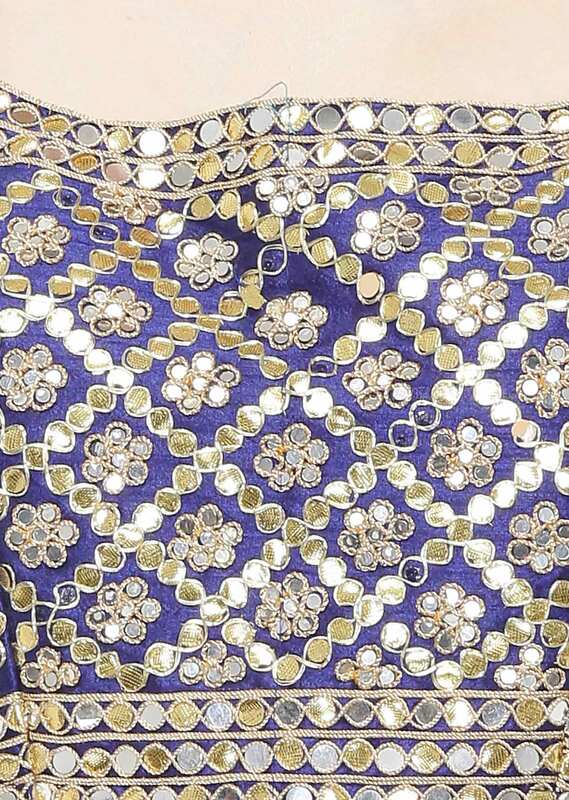 Add shine and shimmer to your ethnic wear with this beige and royal blue lehenga choli ensemble. 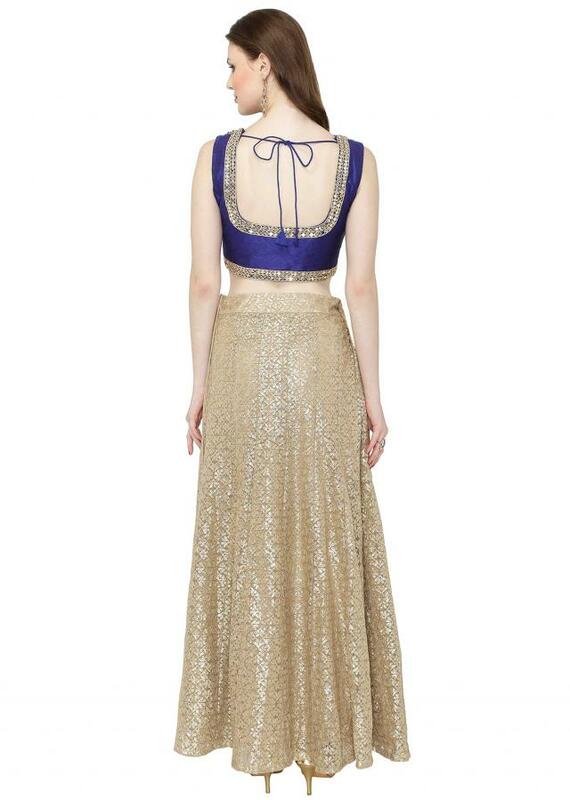 The navy blue choli has a sleeveless look, square neckline and a deep cut out on the back with a drawstring closure. 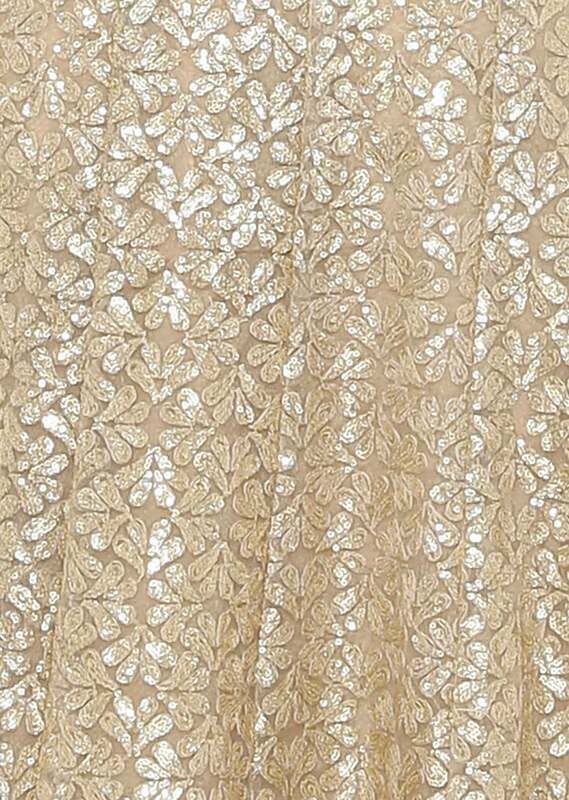 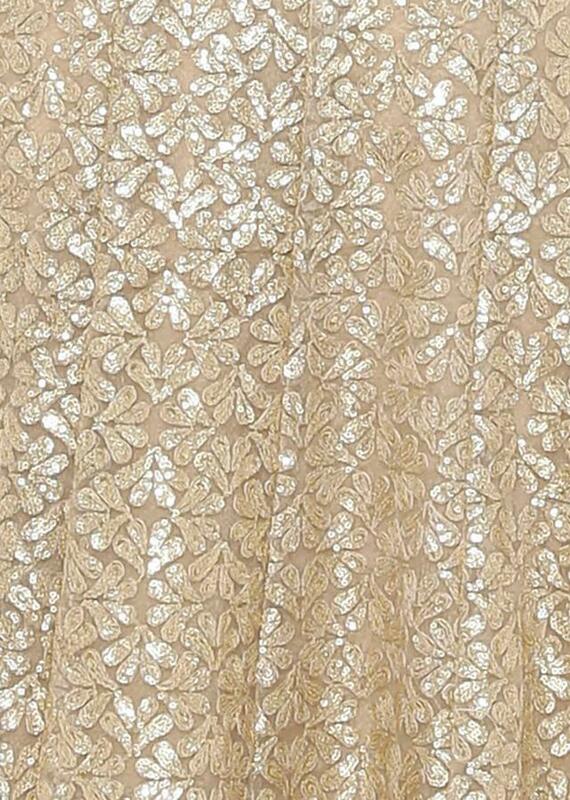 The bodice and the lehenga with drawstring tassels are covered all over with shimmering gotta patti patch work. 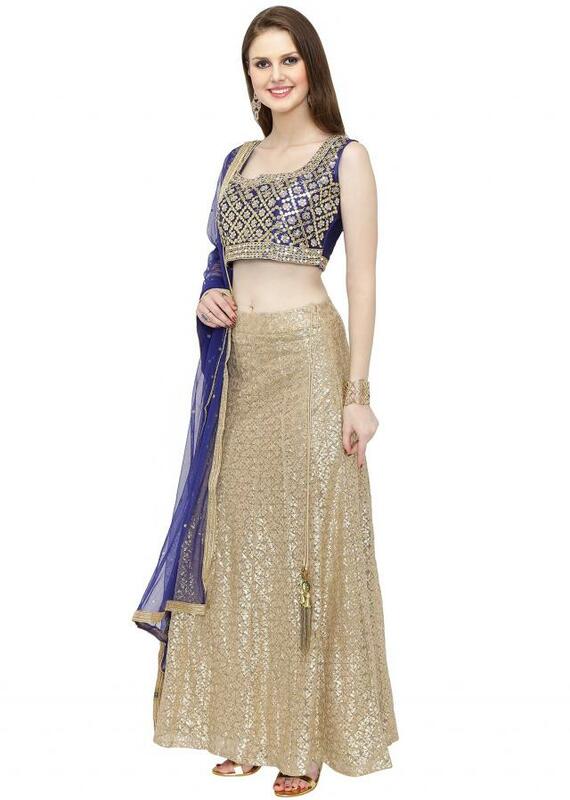 The ensemble consists of a net dupatta flaunting matching embellishments.